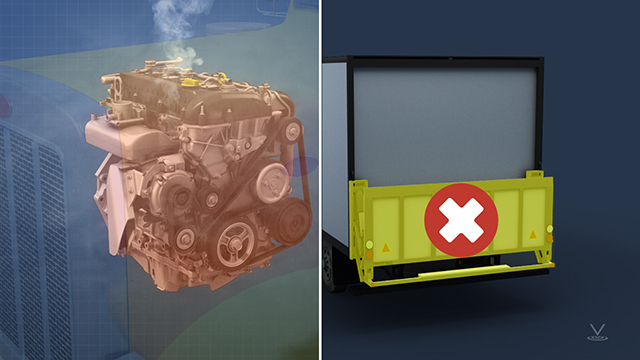 If an engine overheats or a lift gate fails to lower, probably no one will be injured. An essential part of a preventative maintenance system is to periodically check systems that affect the ability of a vehicle to operate safely. 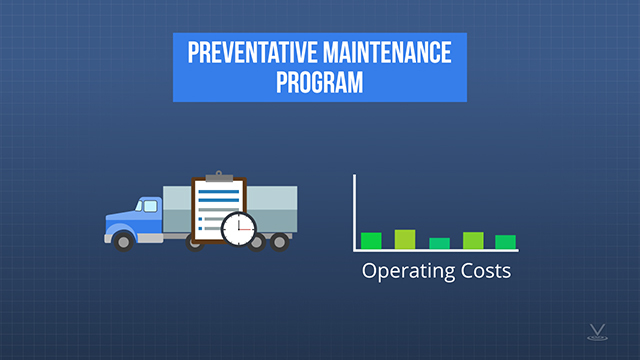 Another benefit achieved by preventative maintenance is lower ongoing operating costs. 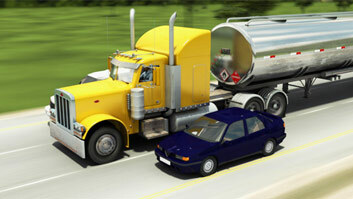 Many businesses depend heavily on their fleet of vehicles. In some businesses, such as package delivery or taxis, the fleet is the business. In others, such as trades like electricians and plumbers, the vehicle is secondary to the actual job, but still critically important. In order for businesses which rely on vehicles to thrive, the vehicles that make up the fleet must be able to operate safely and properly as close to 100% of the time as possible. This can be achieved by implementing a preventative maintenance system. Describe the difference between "reactive maintenance" and "preventative maintenance"
Maintenance that is performed to renew and replace parts before they fail. If parts are renewed and replaced before they are used up, isn't that more expensive? In the long run, more frequent, smaller repairs cost less, and savings are also realized from increased equipment lifetimes. Are there other benefits to preventative maintenance, besides cost savings? If safety systems are not maintained, there can be safety risks. Also, equipment breakdowns have associated costs and can disappoint customers. What is a "preventative maintenance program"? 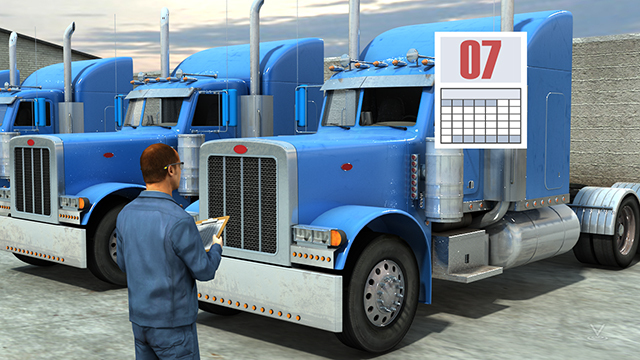 A "preventative maintenance program" consists of a scheduling and recordkeeping system, mechanics who perform the work, and drivers who perform regular inspections. What are some of the costs of not performing preventative maintenance? 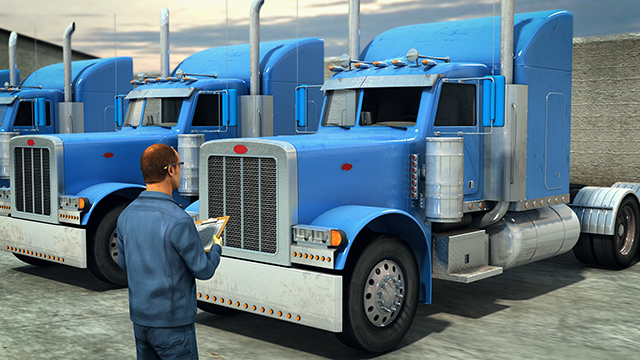 Potential costs include more expensive repairs, towing charges, driver transportation back to base, overtime pay for mechanics, and damage to a business's reputation. 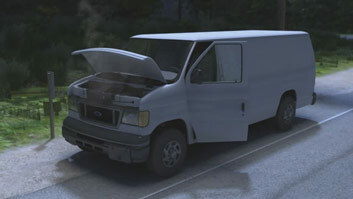 If an engine overheats, or a lift gate fails to lower, probably no one will be injured. 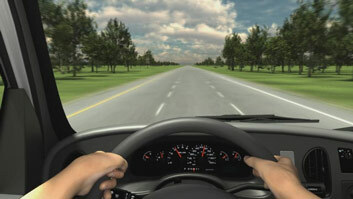 However, if a safety system such as vehicle steering or brakes, or a window defroster fails to operate correctly, both the operator of the vehicle and the general public are placed at risk. It's just not acceptable to run a safety related system to the point of failure. An essential part of a preventative maintenance system is to periodically check and maintain all systems which affect the ability of a vehicle to be operated safely.